We humans today have more happening in our lives than any of the generations before us did, which often means more multitasking: work, family, demanding schedules… That’s why we also have more pressure, more stress, and more anxiety, as well as less time to take care of ourselves in the healthiest way possible. The results of a life lived on the go—with insufficient rest, too little exercise, a diet short on healthy nutrients and long on sugar, fat, fast foods, and junk foods, and all-too-frequent indulgences in harmful habits like smoking, drinking, or taking drugs—can often include neurological, psychological, and emotional issues, stemming from fatigue or exhaustion, a lack of energy, the racing thoughts of a too-busy mind… the list goes on and on. At this point, it’s a good idea to hit the “pause” button, take stock, and make the important choice of finding a way to improve your physical, psychological, and emotional situation. To make a commitment to putting yourself first so you can improve your health and increase your strength can help you cope with all of these stressful elements of modern life. What does the Nerves Cleanse consist of? 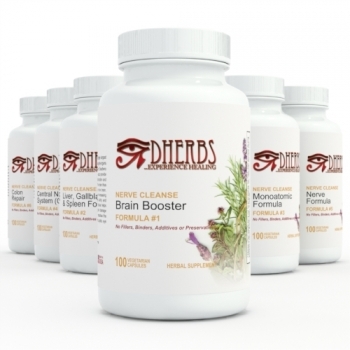 These 2 products can be used in conjunction with the Nerves Cleanse. You may use them at your own discretion. 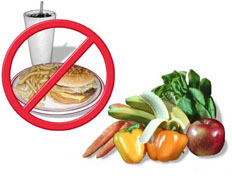 However, we suggest they be used as much as possible during the duration of the cleanse. These aromatherapy drops contain a blend of herbs and minerals traditionally intended to help stimulate the endocrine system to release serotonin, which is thought to contribute to the enhancement or balance of moods. Contains essential oils traditionally believed to help enhance the secretion of serotonin, which is thought to help enhance or balance mood.